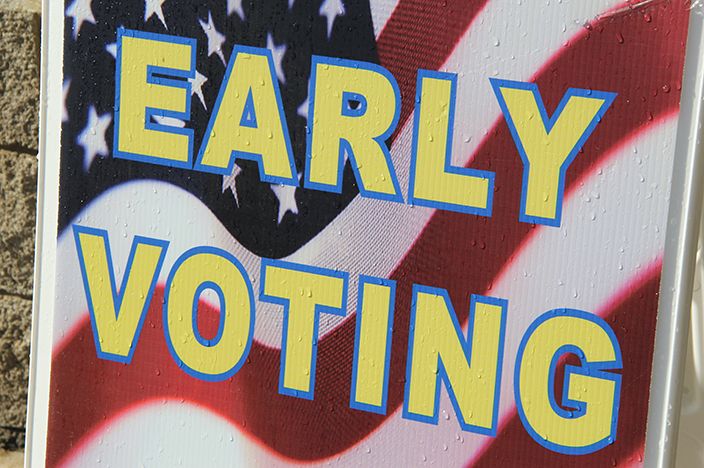 Early voting for the Nov. 8 general election is now underway. Secretary of State Tre Hargett and Coordinator of Elections Mark Goins are encouraging Tennesseans to take advantage of this opportunity to avoid lines on Election Day. Voting will continue Mondays through Saturdays and end Thursday, Nov. 3. This comes after a very successful National Voter Registration Month where more than 7,000 students from 47 colleges and universities registered as a part of the “I’m registered. Are you?” campaign in September. This is an increase of over 3,000 forms from 2015. The easiest way for voters to find their early voting and Election Day polling locations, view and mark sample ballots, see their elected officials, districts and county election commission information as well as access online state and federal election results is through the GoVoteTN app. Voters can download the free app in the App Store or Google Play to view voter specific information. Tennesseans voting early or on Election Day should remember to bring valid photo identification. Photo IDs issued by Tennessee state government, including driver’s licenses, or the federal government are acceptable even if they are expired. College student IDs are not acceptable. For questions about voting, what types of ID are acceptable or the GoVoteTN app visit GoVoteTN.com. Anyone with concerns about voter fraud should call the Division of Elections toll free at 1-877-850-4959.